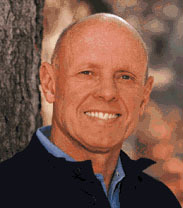 In his book, ‘The 7 Habits of Highly Effective People’, Stephen R. Covey introduced the concept of ‘emotional bank accounts’ (“EBA”). We hold EBA with our loved ones and everyone we interact with. When we show kindness, compassion and love to others, we add to the EBA we keep with them. When we react negatively to them out of anger or any other negative emotions, we make withdrawals on those EBA. The problem is, we often get back from work feeling tired and irritable and we tend to be impatient with our loved ones. We do not add to their EBA but make withdrawals instead. This result in the EBA becoming ‘overdrawn’ and our loved ones end up feeling unloved, unappreciated and in the extreme case, hatred towards us. On the other hand, if we make the effort to add to the EBA everyday, the EBA will have a healthy balance and our occasional ‘withdrawals’ will be easily forgiven. Therefore, it is important to make daily deposits into the EBA to such a point where they become habitual and effortless; for example, if we make it a point to hug our loved ones everyday, the act will become a habit. It may not seem important but it is still a daily deposit into the EBA. Research has shown that children who are shown love by their parents will not feel inadequate when they are occasionally scolded or punished for their mistakes because as a whole, they still feel loved and cared for. Their EBA are always in the positive. However, children who are frequently scolded and not shown love often enough will often grow up withdrawn and aggressive. Their EBA are constantly in the negative and they are fearful of further withdrawals from their EBA. Therefore, they build a protective wall around them and become fearful of the world. Buying a big house will result in huge withdrawals from our bank accounts with the high purchase price, mortgage payments, cost of maintenance and other regular expenses. The big house becomes a burden on our bank accounts. A fault-finding mind has a similar effect on our EBA with others as a big house has on our bank accounts. A fault-finding mind always looks at the weaknesses and mistakes of others and ignores their strengths and the things they do correctly. A person with a fault-finding mind will not recognise that he is making himself miserable. He gets angry at others because it is his habit to do so and his victims were just unfortunate to be around when his fault-finding mind was looking for someone to direct his anger towards. All of us have a fault-finding mind. It is just a question of degree. If our fault-finding mind is so severe that we are angry all the time and we become blinded to the strengths of others, then it is time to admit to ourselves that we have a problem. The good news is that the willingness to admit it to ourselves that we have a problem, is in itself, already a solution. Once we recognise the problem, we will naturally start to watch ourselves and correct our thoughts with discipline, self-awareness and wisdom.